Did everyone have a good Halloween? I saw some very cute and totally creative Halloween costumes this year! What did you (or your kiddos) dress up as? I wanna know! Even though I have already been talking about Thanksgiving this week, now that it is officially November 1st (and officially t-minus 3 weeks until turkey day) I feel like I can talk turkey with more force and excitement! Raise your hand (or better yet leave a comment), if some sort of green bean casserole graces your dinner table on Thanksgiving. We all know the ones I am talking about, green beans with some sort of cream sauce (either homemade or from a can of something soup) and French fried onions. 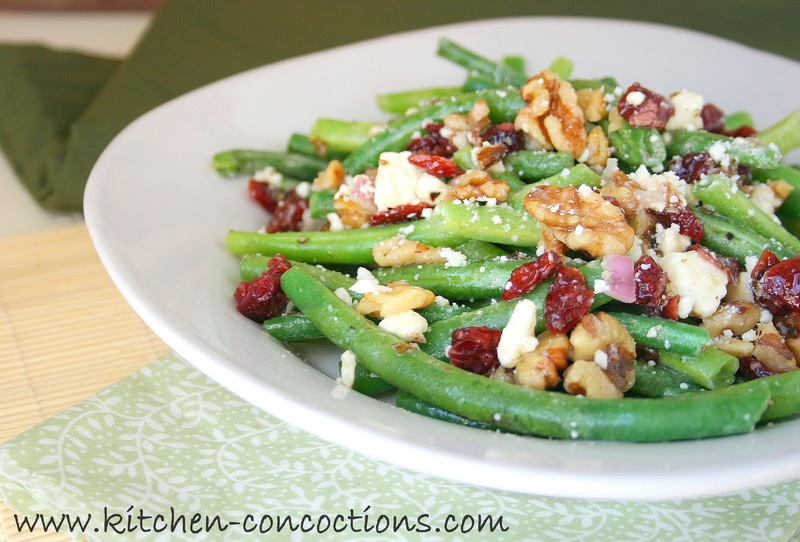 But I love this green bean salad I am sharing with you today! It is so fresh and new, yet features some of those favorite fall flavors we love! 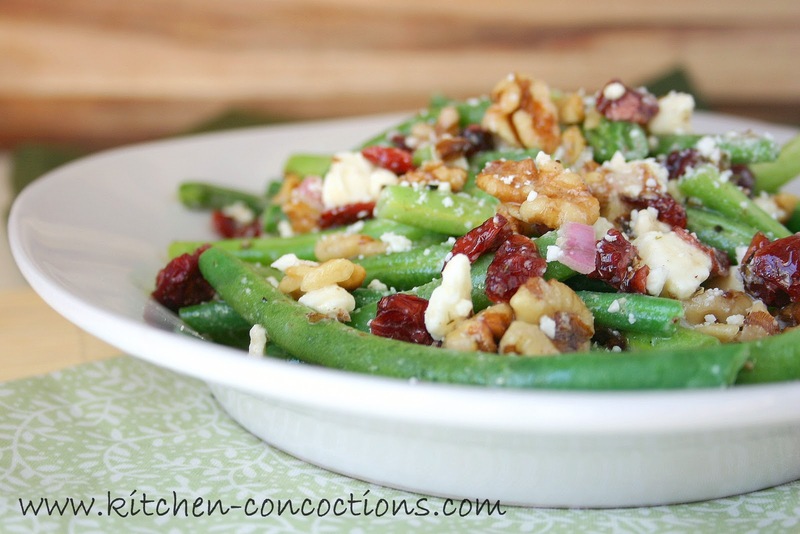 From perfectly steamed green beans, to crunchy toasted walnuts, a sprinkle of chewy dried cranberries, tangy feta cheese and a simple vinaigrette; this green bean salad will hold its own as a firm and loveable replacement to that ‘old school’ green bean side dish. This green bean salad is so hip and cool (and I can guarantee will have no leftovers), that you will want to make it all year long, not just for a particularly important November holiday! Bring a large pot of water to a boil. Add a steamer basket and place trimmed green beans in basket. Steam green beans for about 4 minutes. Transfer to a serving bowl. Meanwhile heat a small sauté pan over medium heat. Add walnuts and toast until they become fragrant, about 2 minutes. Remove from heat and add to green beans. Stir in cranberries and feta. In another small bowl, whisk together dressing ingredients. Toss the dressing with the green bean mixture and season with additional salt and pepper, if needed. Serve warm or at room temperature.